1944. Cinelandia was an Argentinian magazine for moviegoers. It was common practice for stars to send them inscribed photos. 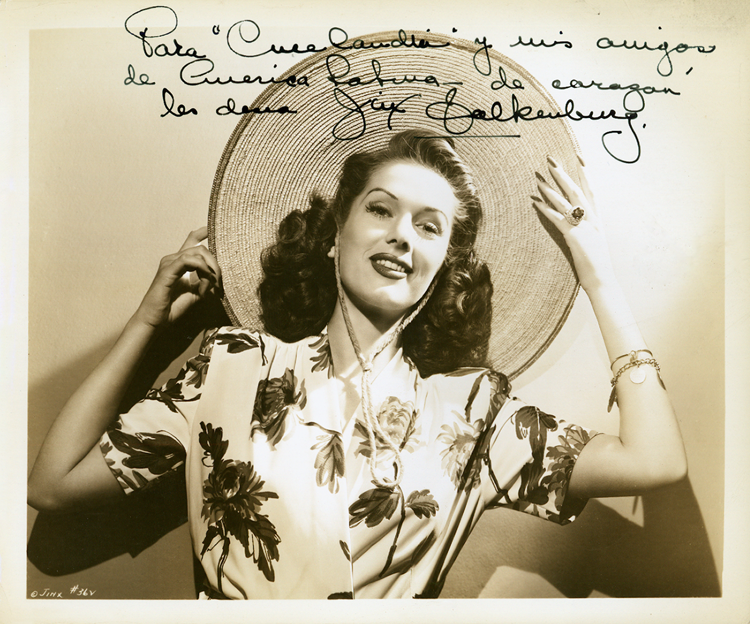 This image looks like it’s one of the publicity shots issued by Columbia Pictures to promote Cover Girl but the print is annotated in pencil on the reverse “Jinx Falkenburg, Tahiti Nights.” Both movies were released in 1944.